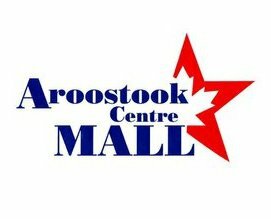 The Aroostook Centre Mall opened in 1993 and continues as one of the only three in Maine and center of commerce in Aroostook County. We offer dozens of shopping, dining, and entertainment options and host special events throughout the year. Business opportunities are endless at the mall ensuring Aroostook County soars with us. The Aroostook Centre Mall serves as a vital member of the community, and is dedicated to meeting the wants and needs of "the County" for the past 24 years. We have hosted the World Series trophy and have basked in the world series winnings twice. Hosted the ceremony IBU World Cup for Biathlon and the Jr. Olympic Biathlon trials. Whether you need the latest fashion or accessories, or another pair of work boots or a great gathering place to celebrate your friends and family the Aroostook Centre Mall is the place to be for food, fashion, and fun!